Daniel: Video games reward the player in a variety of ways. Some games reward the player's progress by showing them something awe-inspiring, be it a pre-rendered cut scene or a thrilling set piece. Others use new weapons, leveling up, and other systems of player empowerment. One classic reward system is the high score; a modern analogue is the achievement/trophy systems that have recently come into favor. 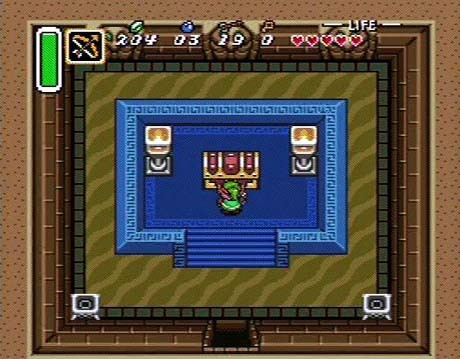 No matter how a game doles them out, rewards are a key element of the pacing and design of most video games. How easily one reaps a game's rewards is also a large indicator of a game's difficulty. So what are the most effective systems? The most satisfying rewards I have ever received from video games have been intellectual ones; to be more specific, I treasure the sense of victory that comes from solving a particularly interesting, intelligent puzzle. Braid was incredibly effective in this regard. I would get frustrated for a while, fiddle around with my various options for interaction, and eventually stumble on something that worked with a sense of sudden elation. Puzzle games are enthralling because they make the player feel intelligent when they successfully complete a challenge. This formula can also lead to discouragement and self-doubt, but to me, those hard-earned intellectual victories are worth the risk of feeling like an idiot from time to time. So what video game rewards do you most crave, and why? C.T. : For me nothing compels me forward in a game like the promise of a well-rounded narrative. When I actually care what is going to happen to the characters in a game I will always be willing to try that much harder to master the skills needed to find out what happens at the end. Exploration is another way that games reward us for our efforts. The best part about expansive world games such as Oblivion or Fallout 3 is seeing everything the worlds have to offer. This method of exploration can be taken to unfortunate extremes as is the case in the Grand Theft Auto games, where players are asked to search every nook and cranny of an entire city to locate newspapers, bleh. I also consider it a success when a game manages to illicit an emotional response from me. I was genuinely upset by the events in Shadow of the Colossus. Any game which manages to overcome schlock and sensationalism and get me involved in the experience is certain to keep my attention and keep me playing. Whether the emotion being evoked is fear, anger, sadness, or joy, becoming wrapped up in the gaming experience on a human level is really the great reward of all art. Daniel: Another thing that Shadow of the Colossus did well was the reward of pure visual spectacle. Seeing some of those Colossi for the first time was awe-inspiring. Wondering how you were going to fight the thing was invigorating. This is a reward scheme that Final Fantasy also tends to do well: to put it simply, just seeing something awesome from time to time can keep a game compelling and exciting. Wanting to see the wild visuals of the next Square Enix cut scenes has been keeping me going through some of the more repetitive sections of Final Fantasy XIII of late. So there are lots of great reward schemes for gamers. Let's talk about some of the less interesting ones. I know this makes me seem terribly modern, but I've never been much for high scores. I'd rather just have a fun experience without worrying about points or percentages. The only games I have reached 100% completion in have been games that either enthralled me so completely that I would take any excuse to keep playing them (Ocarina of Time) or games that made it easy to reach that 100% mark (Elder Scrolls: Oblivion). I have mixed feelings about achievements and trophies. I like the fact that I have a sort of respectable gamer score (typing those words, I realize I have no idea what that means), but I find that it does more to irritate me than give me a sense of satisfaction when an alert pops up to tell me I've accomplished something that I know I've accomplished. I mean, I was there. I should really just figure out how to turn those alerts off. Maybe there's part of me that still likes them. C.T. : As a general guideline I don’t think much of achievements and trophies. When a game stops the action to remind me that I just achieved an award for doing something I had to do to progress the plot forward it shatters my immersion. Playing games just to achieve an arbitrary task from the achievements list seems tantamount to plugging in quarters to an old Centipede machine until your initials are at the top of the leader board. Granted most achievements and trophies are a little more involved than simply having a higher number than the last guy, but most of them seem fairly pointless to me, a virtual equivalent of horseshoes. This is not to say that games based on arbitrary awards can’t be a good time. I’ve had plenty of fun with titles from Pop-Cap, but games whose only rewards are amusement fail to retain my attention for long. If I don’t feel like I am working up to something great, like the climax of an involving story or a significant character’s development, I probably won’t play a game to its conclusion. I am also more than a little wary of games that use leveling up and item acquisition as their primary motivating factor. It’s an effective tactic by developers, roping us in by using our hard wired instincts to forage and collect, but this can lead to some rather dark outcomes. World of Warcraft, EVE, and other games which appeal to our instinct to collect and hoard items of value are perhaps too addictive. I love video games, but I also want to see sunlight every now and then. Daniel: You managed to make achievements sound AWESOME to me, even though I don't like them. Hell yes I want to have the top score on centipede! Absolutely I would like to play some horseshoes! I share your fear of the level up and collect rare items strategy of rewards, and for similar reasons. Diablo and its sequel have consumed years of my life. Neverwinter Nights nearly captured my entire soul. I feel that same itch when I pick up Borderlands, but perhaps thankfully have very few friends who care enough about the game to play with me, and the single player is just a little too repetitive to hold my attention. Diablo 3 looms somewhere on the horizon. God help us all if it actually has a compelling narrative to go with its shiny new graphics and improved mechanics. Then there are some games in which the only reward inherent to the game is your continued improvement at said game. Multiplayer shooters used to be this way, although recently several have included a leveling system. Starcraft is largely this way, though I've never been remotely good enough to hold my own. One on one fighting games have a similar strategy to involve players: You want to get better at this. I do want to get better at it, it's true. I just don't want that badly enough to stick with it. And as a result, I don't get much better. Ah well. C.T. : There is always something to be said about the satisfaction one gets from competitive gaming. Doing the victory dance in your friend's face when you trash them at a given contest is always gratifying whether that contest be Risk, bowling, or Tekken 3. Giving us an initial reward for playing is one of a developer’s primary jobs, but like any recreational activity, it is ultimately up to the individual to find a reason to keep playing. Some people play for escapism, some people play to kill time, and still others have a near psychotic need to be the top dog on the leaderboard. For some of us games are a hobby, an art form, an addiction, a pastime, sometimes all of the above, sometimes none. In the end, people’s motivations for playing games are as numerous as there are gamers. So how about you, readers? How does a game have to reward you to keep you at your controllers?